Your guest tosses a chip into a colored area on the game board. 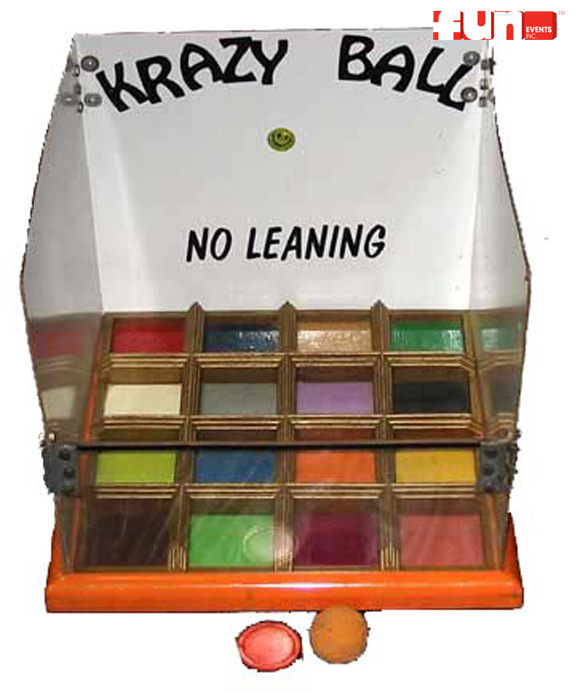 Player then tosses two balls and attempts to match the colors. Match the two colors and win a special prize. (all ages game) A fun party game rental idea for school carnivals,company picnics, church festivals, a birthday party, or other special events.